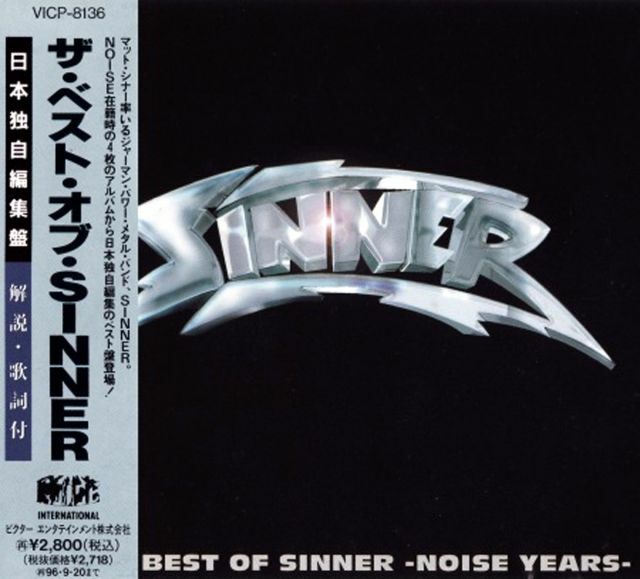 Sinner are a German heavy metal band formed by vocalist and bassist Mat Sinner in 1982 (who later joined Primal Fear). They were part of the German heavy/speed/power metal scene. 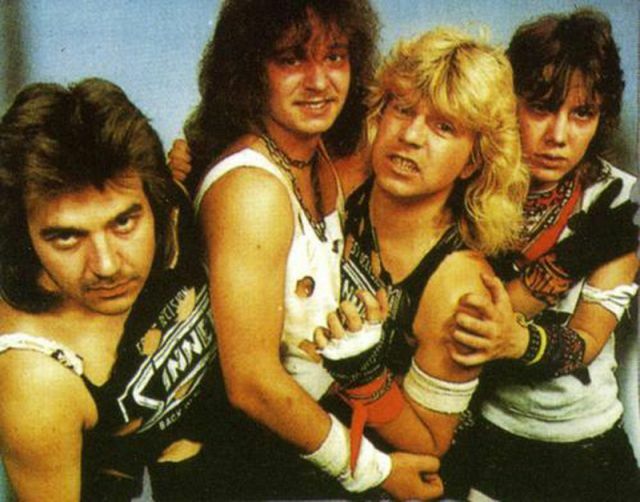 Their latest album, One Bullet Left, was released in 2011.Based in Stuttgart, Baden-Württemberg, Sinner released their first album, Wild'n'Evil in 1982. This album, along with the next two (Fast Decision and Danger Zone) were raw affairs, having little in common with the melodic metal they would later become known for. After many personnel changes (including drummer Edgar Patrik leaving to join Bonfire), the band saw the addition of Accept's Herman Frank on guitars and the release of Touch of Sin in 1985. Frank would leave before the next album, 1986's Comin' Out Fighting, with future U.D.O. guitarist Mathias Dieth replacing him.1987 saw the release of Dangerous Charm, a much more melodic album than previous efforts, but shortly after this the band took a break and wouldn't be heard of again for five years.In 1990 Mat Sinner released a solo album called Back to the Bullet on BMG with a completely new band. Three members of the Mat Sinner band reformed Sinner and released No More Alibis in 1992, an album far heavier than anything Sinner had released before. This renewed vigour coupled with songwriting that far exceeded the band's previous releases not only carried on but strengthened with Respect in 1994 and Bottom Line in 1995, the latter staying in the Japanese national charts for five weeks. Since the reformation the band's reputation had improved immensely, touring as support for bands such as Mr. Big and Savatage as well as headlining their own German tour and releasing a live album. 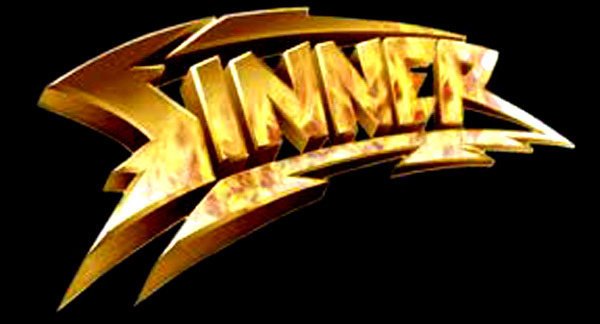 Sinner were to reach even higher peaks though, releasing two hugely successful albums with Judgement Day in 1997 and The Nature of Evil in 1998 before touring Europe as support for rock giants Deep Purple. The Nature of Evil was the band's most successful album to date, reaching No. 63 in the German album charts.In 1998 Mat Sinner and Tom Naumann, who had been with Sinner since their reformation in 1992 formed Primal Fear with ex-Gamma Ray vocalist Ralf Scheepers. 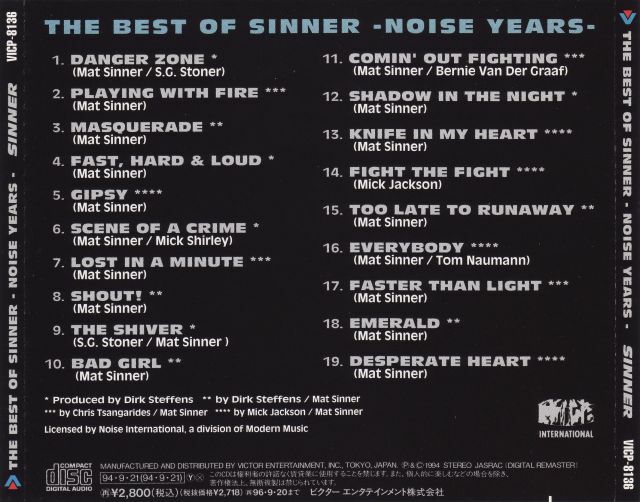 Mat Sinner has been involved as a driving force in both Sinner and Primal Fear to this day. 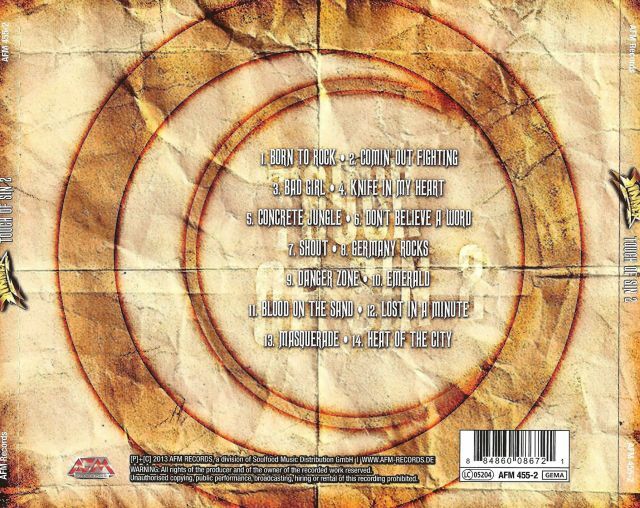 In 2000 the band saw its first line-up change in five years as several members left, including guitarist Tom Naumann while ex-Helloween and Gamma Ray's Uli Kusch filled in on drums for The End of Sanctuary. However, in 2003 the previous 1995–1999 line-up renewed itself and released There Will Be Execution before going quiet again for four years. In the past nine years the band had released six albums, each as good, if not better than the last, proving to be the band's most successful period. This success would continue, as after releasing two more albums with Primal Fear, an album with his pre-Sinner band Goddess Shiva and guesting on Tribuzy's debut album, Mat Sinner brought Sinner back to release Mask of Sanity in 2007. This album spawned two popular singles in "Diary of Evil" and "Black" and included a faithful rendition of Thin Lizzy's "Baby Please Don't Go".